From their Ipana Toothpaste to Vitalis Hair Grooming Tonic to Mum Deodorant to Minit-Rub Analgesic Ointment, Bristol-Myers remained an almost continuous presence over Radio for the entire duration of the Golden Age of Radio era. Bristol-Myers had sponsored Eddie Cantor's variety program Its Time To Smile during which breakout singing sensation Dinah Shore was prominently featured. Eddie Cantor became one of Dinah Shore's most dedicated and persuasive promoters so when it came time for Dinah Shore to merit her own headlining Radio feature, it was Bristol-Myers that was the first to gamble--successfully--on Dinah Shore's rising success over Radio. Over that same period, Dinah Shore was repeatedly voted America's most popular female singer. As she became more comfortable leading her own programs her poise, timing and extemporaneous delivery skills improved with each new feature program. Dinah Shore's first solo outing over Radio was the Bristol-Myers-sponsored Songs By Dinah Shore, a weekly fifteen-minute variety feature over NBC-Red, NBC's commerically sponsored network. Broadcast from Hollywood, Songs By Dinah Shore ran for twenty-six installments between November 2nd 1941 and April 26th 1942. Bristol-Myers promoted its Sal Hepatica and Minit-Rub products throughout Songs By Dinah Shore. For Dinah Shore's second outing sponsored by Bristol-Myers, her new series was repackaged as In Person: Dinah Shore over The Blue Network. In Person: Dinah Shore replaced the Paul Lavalle orchestra with that of Gordon Jenkins. Retaining the fifteen-minute format, In Person: Dinah Shore premiered on May 1st 1942, six days after the final Songs By Dinah Shore over NBC-Red. Truman Bradley replaced Harry Von Zell as Dinah's announcer and the new series retained the "Dinah" theme song. In Person: Dinah Shore aired for a total of fifty-two weekly Friday night installments between May 1st 1942 and April 23rd 1943 promoting Bristol-Myers' Mum Deodorant. Bristol-Myers had actively promoted Mum as a male deodorant since the product's inception. But throughout the 1940s Bristol-Myers began to target a female audience for the product. Given the somewhat feminine packaging for Mum Deodorant, we remain somewhat bemused that Bristol-Myers initially targeted a male audience for the product in the first place. The major change in format between 1941's Songs By Dinah Shore and 1942's In Person: Dinah Shore was primarily due to the December 7th 1941 attack on Pearl Harbor that officially brought the United States into World War II. In the wake of our entry into World War II, and owing also to Dinah Shore's tireless efforts entertaining American and Allied troops at home and abroad, In Person: Dinah Shore was framed as a weekly report to America's G.I.s on the music scene on the Homefront. Recorded live before a predominately G.I. audience from its Hollywood studio, In Person: Dinah Shore played directly to the troops and the loved ones they'd left behind. More in the vein of a 'Hollywood Canteen of the Air,' In Person: Dinah Shore's format had Dinah Shore reading--and fulfilling--mailed song requests from G.I.s and relating often poignant anecdotes she recieved from both her Homefront and G.I. listeners. The result was an often very intimate and touching fifteen-minute mix of popular topical music of the era woven together with heartfelt observations on life on the Homefront in the wake of Pearl Harbor. 8:30 p.m.--Dinah Shore (WENR): on new schedule. 8:30 p.m.--Dinah Shore (WENR): "Sleepy Lagoon," "Don't Sit Under the Apple Tree," "Over the Rainbow." 8:30 p.m.--Dinah Shore (WENR): "I Don't Want to Walk Without You," "All I Want Is You." 8:30 p.m.--Dinah Shore (WENR): "Three Little Sisters," "You Go to My Head," "Kerry Dance." 8:30 p.m.--Dinah Shore (WENR): "Conchita," "Skylark," "One Dozen Roses." 8:30 p.m.--Dinah Shore (WENR): with Eddie Cantor as guest; "Jingle, Jangle, Jingle," "All I Need Is You," "Don't Sit Under the Apple Tree." 8:30 p.m.--Dinah Shore (WENR): "Memphis Blue," "It Had to Be You." 8:30 p.m.--Dinah Shore (WENR): "Summer Time," "Three Little Sisters," "All I Need Is You." 8:30 p.m.--Dinah Shore (WENR): "Conchita," "Yankee Doodle Dandy," "I Remember You." 8:30 p.m.--Dinah Shore (WENR): "I'm Blue All Day Sunday," "Give Me Something to Remember You By," "Mad About "Em Blues." 8:30 p.m.--Dinah Shore (WENR): "Tangerine," "Jersey Bounce," "Time On My Hands." 8:30 p.m.--Dinah Shore (WENR): sings "I Met Him on Monday." 8:30 p.m.--Dinah Shore (WENR): "How Come You Do Me Like You Do Do Do," "Sleepy Lagoon," "Manhattan Serenade." 8:30 p.m.--Dinah Shore (WENR): salutes service men; introduces new song, "Rolleo Rolling Along." 8:30 p.m.--Dinah Shore (WENR): dedicates "Yankee Doodle Dandy," and "He's My Guy" to service men. 8:30 p.m.--Dinah Shore (WENR): "He Wears a Pair of Silver Wings," "Dearly Beloved." 8:30 p.m.--Dinah Shore (WENR): "Why Don't You Fall in Love With Me?," "Idaho," "Cow Boogie." 8:30 p.m.--Dinah Shore (WENR): reads her diary, sings "Who Wouldn't Love You," "Memphis Blues," "Stardust," "He's My Guy." 8:30 p.m.--Dinah Shore (WENR): "Kalamazoo," "Be Careful, It's My Heart," "Basin Street Blues," "Wonder When My Baby's Coming Home." 8:30 p.m.--Dinah Shore (WENR): "Dearly Beloved," "Wonder When My Baby's Coming Home," "St. Louis Blues." 7:15 p.m.--Dinah Shore (WLS): at new hour. 7:15 p.m.--In Person: Dinah Shore (WLS): "He's My Guy." 7:15--Dinah Shore (WLS): "Embraceable You," "Who Wouldn't Love You"? 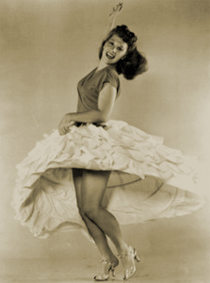 7:15--Dinah Shore (WLS): with Elsie Janis, guestar. 7:15--Dinah Shore (WLS): "Kalamazoo," "Dearly Beloved," "Cow Boogie," "Take Me." 7:15--In Person, Dinah Shore (WLS): "Manhattan Serenade," "He's My Guy," "I Met Him on Monday," "Praise the Lord and Pass the Ammunition." 7:15--Dinah Shore (WLS): "White Christmas," "Embraceable You," "Praise the Lord and Pass the Ammunition," "Kalamazoo." 7:15--Dinah Shore (WLS): "This Is the Army, Mr. Jones," "Serenade in Blue," "Begin the Beguine," "Mr. Five by Five." 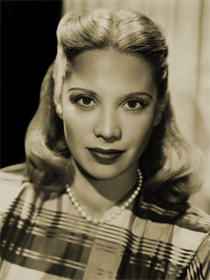 7:15--Dinah Shore (WLS): "I Can't Give You Anything But Love," "I Came Here to Talk for Joe." 7:15--Dinah Shore (WLS): "Memphis Blues," "A Bicycle Built for Two," "Why Don't You Fall in Love With Me?" 7:15--Dinah Shore (WLS): "A Touch of Texas," "Chloe." 7:15--Dinah Shore (WLS): "Hip Hip Hurray," "Mr. Five by Five," Irving Berlin medley. 7 p.m--Dinah Shore (WLS): "The Road to Morocco," "Day Break," "June in January." 7:15 p.m--Dinah Shore (WLS): "You'd Be So Nice to Come Home To," "Honeysuckle Rose." 7:15 p.m--Dinah Shore (WLS): "I Wanna Go Back to West Virginia," "I Had the Craziest Dream," "The Last Time I Saw Paris." 7:15 p.m--Dinah Shore (WLS): "Murder, He Says," "Touch of Texas," "I'm Getting Tired," "Stormy Weather," "I Cried for You," and "Comes Love." 7:15 p.m--Dinah Shore (WLS): "Can't Get Out of This Mood," "For Me and My Gal," "Moonlight B ecomes You," "Brazil." 7:15 p.m--Dinah Shore (WLS): "Blow, Gabriel, Blow," "I've Heard That Song Before," "I'm Getting Tired So I Can Sleep." 7:15 p.m--Dinah Shore (WLS): "When Johnny Comes Marching Home," "Why Don't You Fall in Love With Me?" "Abraham." 7:15 p.m--Dinah Shore (WLS): "That Old Black Magic," "Tea for Two." 7:15 p.m--Dinah Shore (WLS): "Don't Get Around Much Any More," "I've Heard That Song Before." 7:15 p.m--Dinah Shore (WLS): "Hit the Road to Dreamland," "You'd Be So Nice to Come Home To," "Tea for Two." 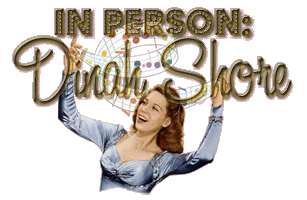 7:15 p.m--Dinah Shore (WLS): "Spring Is Here," "Easter Parade," "Singing In the Rain," and others. 7:15 p.m--Dinah Shore (WLS): "What's the Good Word, Mr. Blue Bird," "As Time Goes By," "Shine On Harvest Moon." 7:15 p.m--Dinah Shore (WLS): "Blues in the Night," "Where or When," "Hit the Road." 7:15 p.m--Dinah Shore (WLS): "Comin' In on a Wing and a Prayer," "Black Magic," "Always." 1944 The American Band Of the A.E.F. BEVERLY HILLS. Calif. - Entertainer Dinah Shore, whose career spanned radio, television and concert performances, died today. She was 76. Miss Shore, who was recently diagnosed with cancer, died at her home here after a short illness, said publicist Stephanie Masters. Miss Shore's grown children and ex-husband George Montgomery were with her when she died, said spokeswoman Connie Stone. Her television career spanned the 1950s to the early 1990s, when she had a half-hour talk show, "A Conversation with Dinah," on The Nashville Network. Miss Shore, who won 10 Emmy Awards, started in 1951 with "The Dinah Shore Show," a live, 15-minute musical show. The more elaborate "'The Dinah Shore Chevy Show" premiered in 1956 and ran until 1963. From 1974-79 she was in "Dinah," from 1970-74 in "Dinah's Place," and from 1979 to 1984, "Dinah and Friends." Referring to the TV camera, she said in a 1989 Associated Press interview: "I don't know how to be afraid of that old red eye. It's one person to me. I don't visualize large numbers of people out there. I'm comfortable with it." Prior to going into television, she was a singing star on radio known for such hits as "I'll Walk Alone" and "The Anniversary Song." She occasionally appeared in films in the 1940s including "Follow the Boys" and "Fun and Fancy Free." She was born Frances Rose Shore on March 1, 1917 in Winchester, Tenn.
A graduate of Vanderbilt University, she began her broadcast singing career in 1938 on New York's WNEW, joining the NBC network later that year and signing a contract with RCA Victor in 1940. A year later she joined Eddie Cantor's radio program; by 1943 she was starring in her own radio program, sponsored by General Foods. She married Montgomery in 1943 and had two children, Melissa Ann Hime, born in 1948, and John David Montgomery, born in 1954. She divorced Montgomery in 1962. A second marriage to Maurice F. Smith in 1963 lasted only a year. For more than two decades she had played host to the Dinah Shore Classic golf tournament in the Palm Springs area. She was also a champion of animal rights.